This stackable armless barstool is crafted with beautiful moon shape patterns that is bound to get the attention of your guests. The frame is made of commercial grade plastic resin that will resist fading, cracking, and warping from UV rays and rain. Featuring an attractive two-tone seat and back that will accent most modern decors. 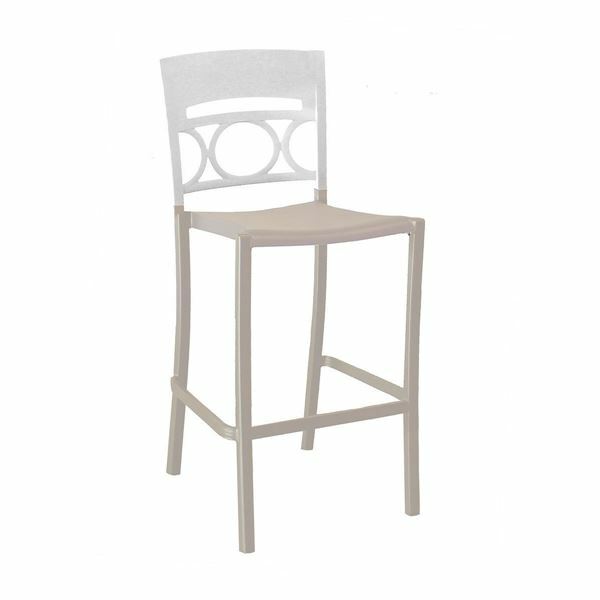 Our Moon armless bar chair is designed to stack whether for convenient storage or to provide extra seating during busier dining nights. Great for beachside bars, hotels, restaurants, or any outdoor dining deck. 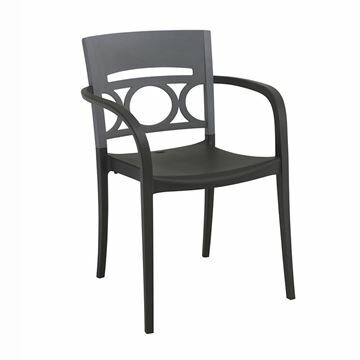 Consider adding the companion Moon stacking dining chair to keep the stunning style universal on your property. Proudly made in the USA and includes with a 3 year guaranteed warranty.